I’m hoping this will inspire you to create your number 1 goal…. My number 1 goal this past 12 months has not been to grow my business, it hasn’t been to run a marathon, nor travel the world. My number 1 goal is….’to look after my family whole health’. Having written my goal down and glancing at it a few times a week has made me both committed and in action. It’s been a huge 12 months for my little family. Just briefly (for reference)…4 months after welcoming our first baby into the world my husband was faced with the biggest health crisis of his life (our life), and all this whilst living on the other side of the world. To call it a huge year is probably an understatement, but the important thing is we are all doing incredibly well now. 3. Run 10 km’s and enjoy a long breakfast with the girls. 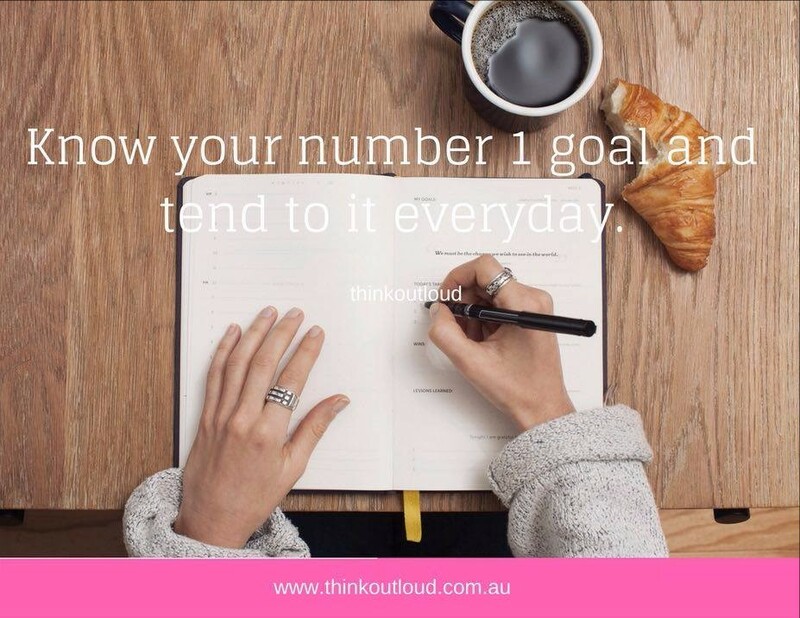 Every time I got a handle on number 1 goal I would spend more time on number 2 goal and then number 3 goal. At times I only had the capacity to focus on my number 1 goal. This process worked incredibly well for me which is why I am sharing it with you. At the right times I was also able to work on new projects in my business and I am excited to share with you I smashed my number 3 goal just a few days ago. It felt so good to get back to my ideal lifestyle of running 10km’s and hanging out with my favourite people. Do you know what your top 3 goals are? I’d encourage you to spend some time thinking about it today and of course write it down where you can see it. This is could be the most simplistic thing you may have heard when it comes to goal setting but in a world where everyone and everything is trying to get our attention it’s helpful.